This fall, more than 1 million students using MindTap, an online learning platform from Cengage Learning, will be able to build digital portfolios of their work for free and keep them for life. MindTap has integrated Pathbrite, a digital portfolio app, to allow students to showcase their achievements. 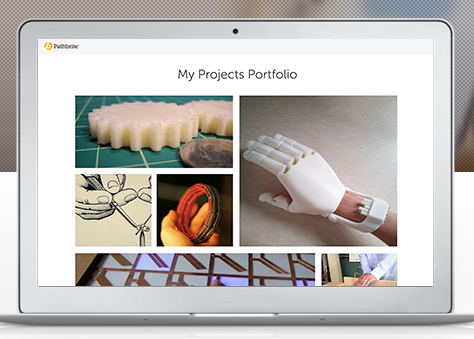 Using Pathbrite, students can drag-and-drop images, videos, documents or other digital media and instantly resize and rearrange items to their liking to create a personalized portfolio. Additionally, the portfolios can be viewed on any device. Digital portfolios are a way for students to demonstrate what they have learned, beyond static resumes and transcripts, helping students stand out in today’s competitive job market, according to Chief Product Officer at Cengage Learning Jim Donohue. “From digital badges to presentations and business plans, e-portfolios offer evidence of abilities and experience. We are pleased to provide a tool that enriches the relationship between educators, students and employers,” Donohue said in a statement. Cengage Learning first formed a partnership with Pathbrite in 2014, when the company led a $3.7 million investment round for the start-up. Cengage acquired Pathbrite last October “to extend the company’s student-centric, competency-based learning capabilities,” according to a news release. Beginning this fall, the integration will be available to all current MindTap users. MindTap offers more than 650 courses spanning STEM topics. The platform can be accessed online and a mobile app version is available on the Apple Store and Google Play.